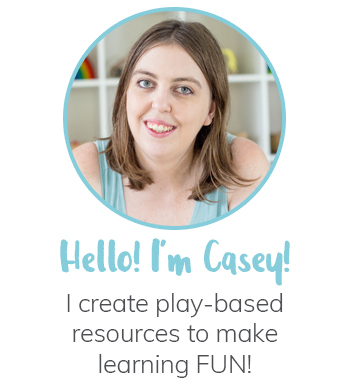 It’s no secret that I love sensory play! I’ve been eying off the IKEA FLISAT children’s table since the day I first laid eyes on it. I knew it would make the most amazing sensory table and I needed to have it! Ahh I mean…the kids needed to have it! Well, two weeks ago my wishes were granted thanks to a wonderful collaboration with IKEA Australia! 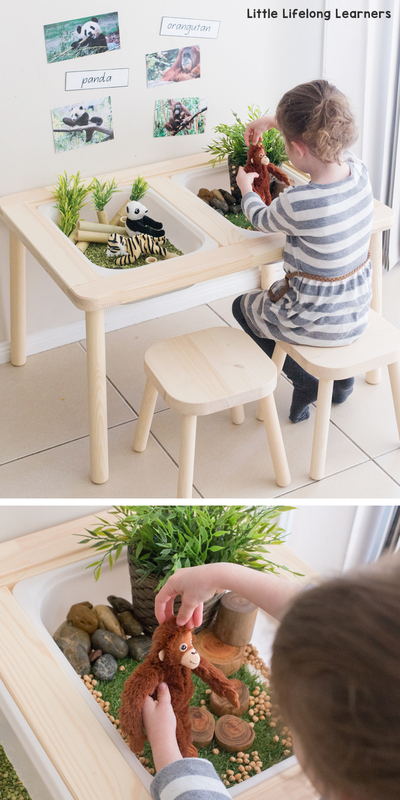 We got our hands on our new IKEA FLISAT sensory table and two matching FLISAT stools! Today I wanted to share our first sensory table set up! 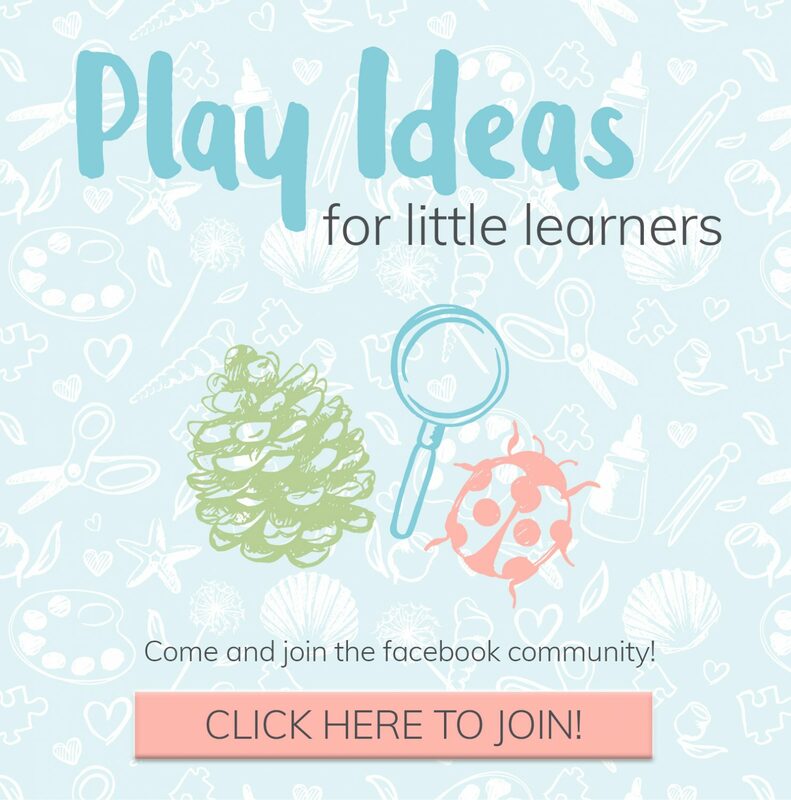 Our little learners are 2 years old and 4 years old and they are the biggest fans of sensory play. I mean, if I haven’t set up a sensory activity in a little while, they aren’t afraid to set one up themselves with the dreaded Sudocream or cornflakes! 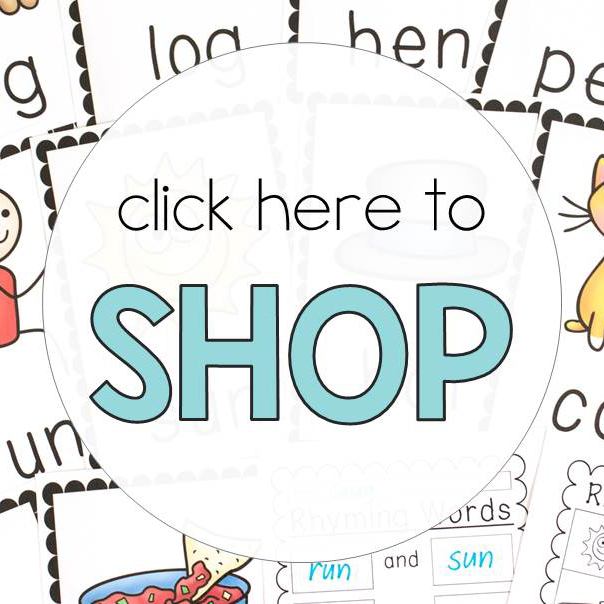 So I try really hard to make sure I have a sensory activity planned each week that I can just pull out when needed. Typically, we use a small tray or tub and set up on the floor but it can be a bit tricky sharing the space with a sibling. Sometimes I even have to set up two tubs to keep the peace. So you can just imagine my excitement when I found the FLISAT children’s table. Whenever we visit IKEA, I stand there lovingly looking at it, hoping hubby will agree and let me take one home. 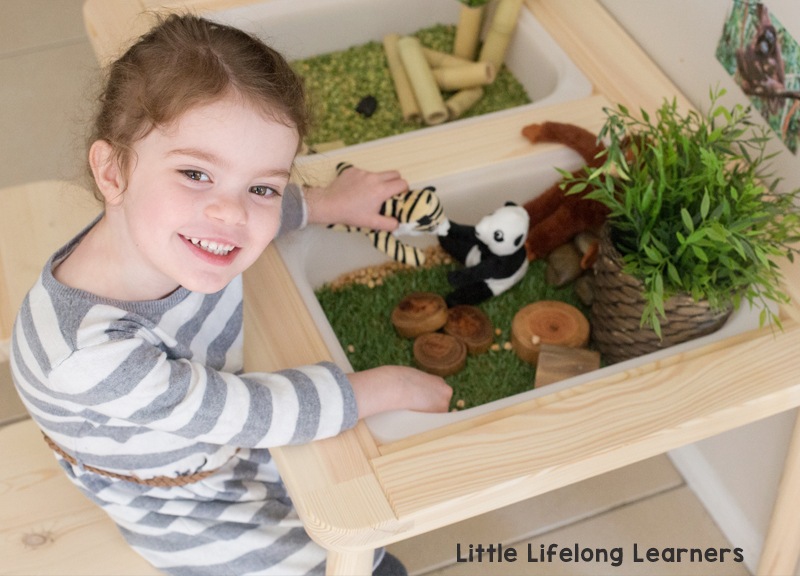 It’s the perfect height for little ones and can easily be turned into a sensory play table by adding some TROFAST storage tubs which sit in the table so perfectly. And the little FLISAT stools sit the kids at the perfect height for play! 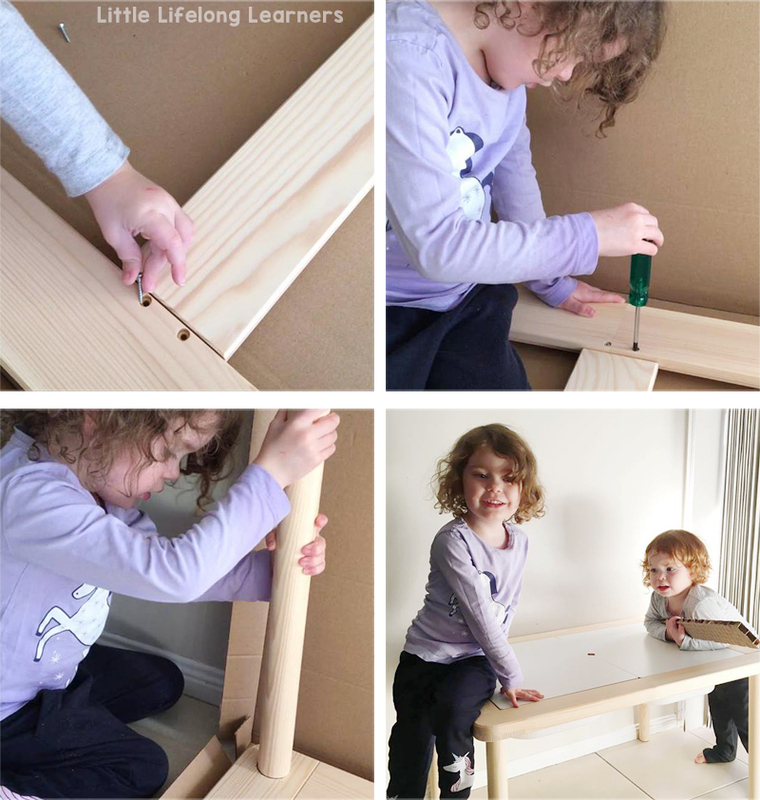 Thanks to a collaboration with IKEA Australia, we got to bring a FLISAT table home! For our first sensory play set up, I decided to go with an endangered animal theme. It’s not one we’ve done before so I knew it would be a success. Luckily for me, IKEA have just released a new children’s line with a focus on endangered animals. I decided to use some of the DJUNGELSKOG small soft toys for our sensory table! My little learners helped put the FLISAT table together, which by the way was super easy even for them to manage. I just had to tighten the screws! Next I collected all of the materials for our endangered animal sensory tray! 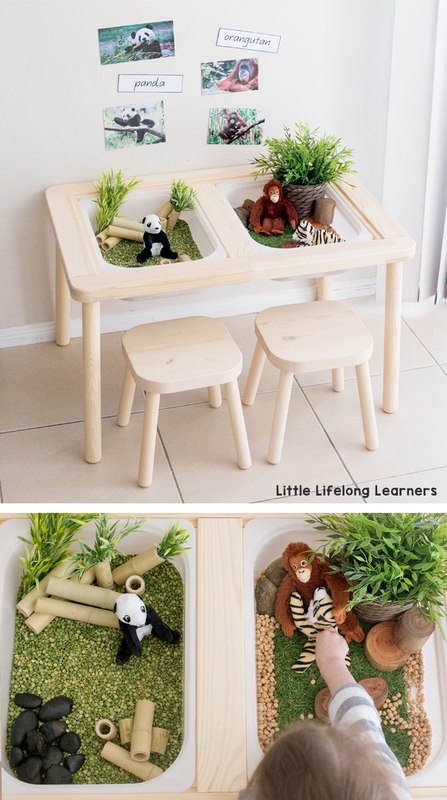 I decided to do two small worlds using the TROFAST tubs – a panda small world and an orangutan and tiger small world. We already have a pretty decent collection of loose parts for small world play. So first I went through and raided our collection and then put together all of the bits and pieces we’d need. I also laminated some photographs from Google and made some vocabulary cards which I stuck to the wall. 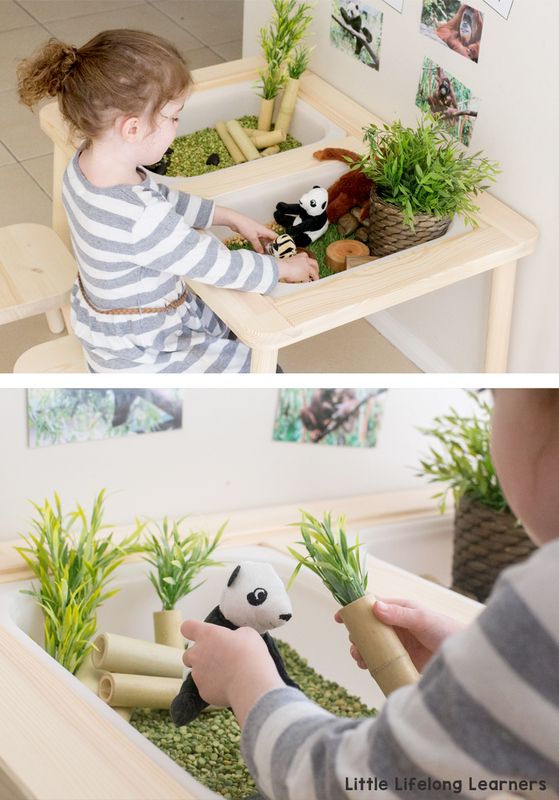 For the Panda tray, we grabbed some green split peas from Coles, some bamboo offcuts from CleverPatch and some black pebbles from our sensory play collection. I also stumbled across a little plant that looked similar to bamboo so I used that as well! How gorgeous are those bamboo offcuts?! For the Orangutan and Tiger tray, I used a base of artificial grass and some chickpeas. I also added our beautiful Made with Altitude blocks, some pebbles and an artificial plant from IKEA. My daughter Lilly loved getting the Orangutan and the Tiger to cuddle! I’m not sure if that would happen very often in the wild, but it was pretty cute to watch! As you can see, it doesn’t take much to set up a beautiful and inviting small world. Sometimes the simple set ups are the most engaging! Lilly loved her new sensory table so much that she HAD to wake up her little brother from his nap so he could come see and play as well! The FLISAT table and stools work together so perfectly. When I posted a little sneak peek of our new set up on my Instagram stories last week, I had an influx of followers asking about the stools. They are such a wonderful compliment to the table and make play so easy! I would definitely recommend grabbing a pair when you get the table! 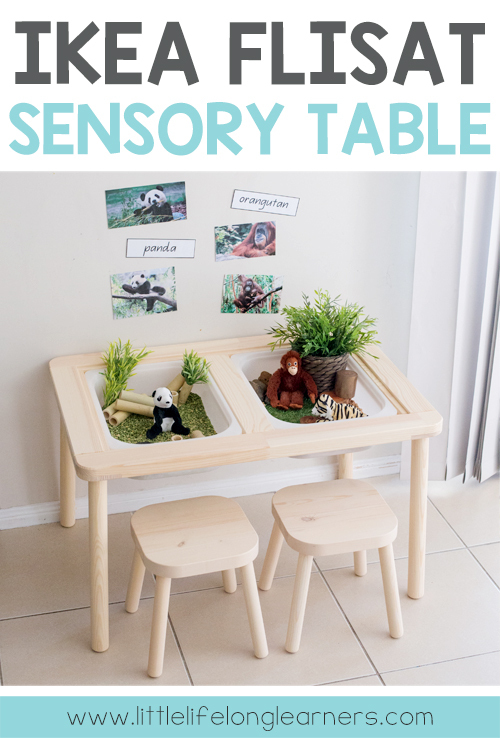 I hope you’ve enjoyed this post about our IKEA FLISAT sensory table. We are going to get very good use out of this piece! I can’t wait to share more of our sensory table set ups with you over the coming months! Do you have a FLISAT table? Tell me about how you use it in the comments below! Disclosure – I was gifted the FLISAT table, FLISAT stools and DJUNGELSKOG soft animals from IKEA Australia for the purpose of this blog post. However, I wasn’t paid for this endorsement and all opinions and ideas are my own.